Jenny has returned to Ireland so I have a break from adventuring (for the moment) which I’ll use to finish off my posts from Spring break. 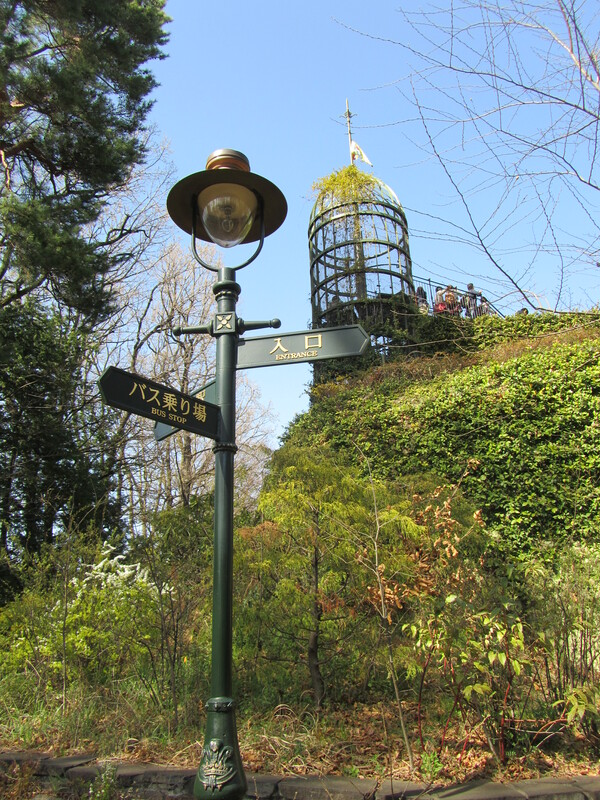 While we were in Tokyo, we went to two ‘themeparks’ – the Ghibli Museum and Disneyland. 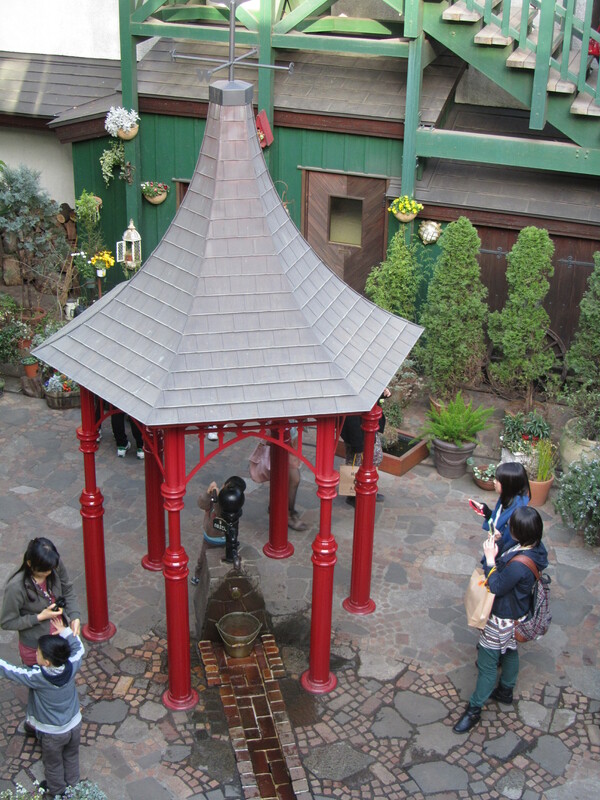 I had been to the Ghibli Museum last year with my family, but on that day there had been an unseasonal typhoon so we had to hurry from the bus to inside the museum, so we missed out on appreciating the exterior. It was a beautiful day when Jenny and I went, lovely warm spring weather with clear skies and cherry blossoms. 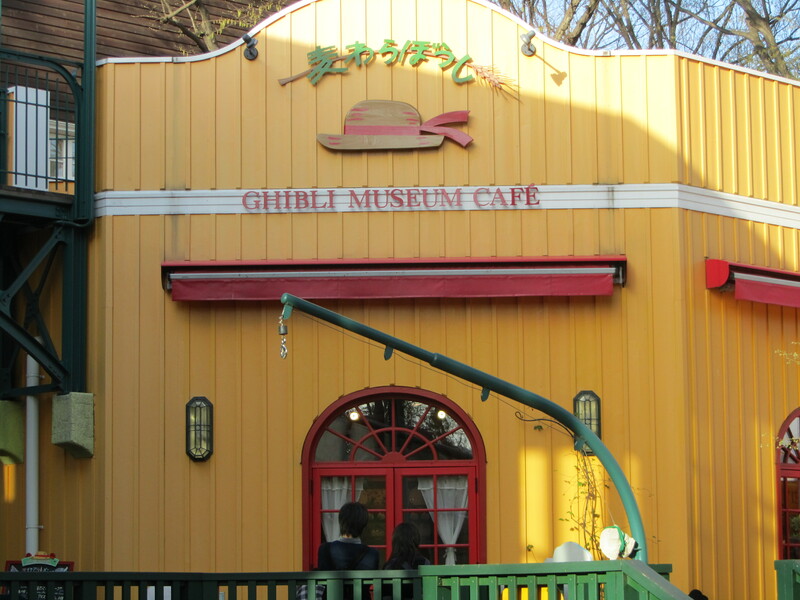 Like Disneyland, the museum and its grounds are themed from the Ghibli films, but it is a museum, not really a themepark. 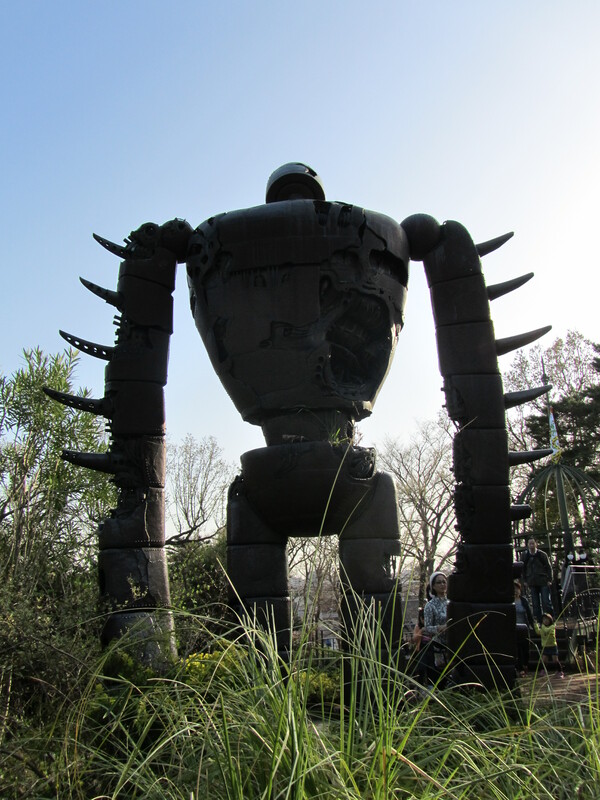 I have only seen a few Ghibli films, but even so it’s a really enjoyable experience, because you get to see how the ideas are created and how they are made. Photography is not allowed inside the museum, so I only have photos of the exterior. The interior of the main museum building is like an old house, with many floors, and finished in wood. The various rooms of the museum house different exhibitions, on the lowest floor is an exhibition that shows how different kinds of animation work, from looped reels of celluloid film and painted glass scene boxes to a large wheel of characters in slightly different poses, that when spun and viewed with strobe lighting can fool even the eye that knows it is an illusion. 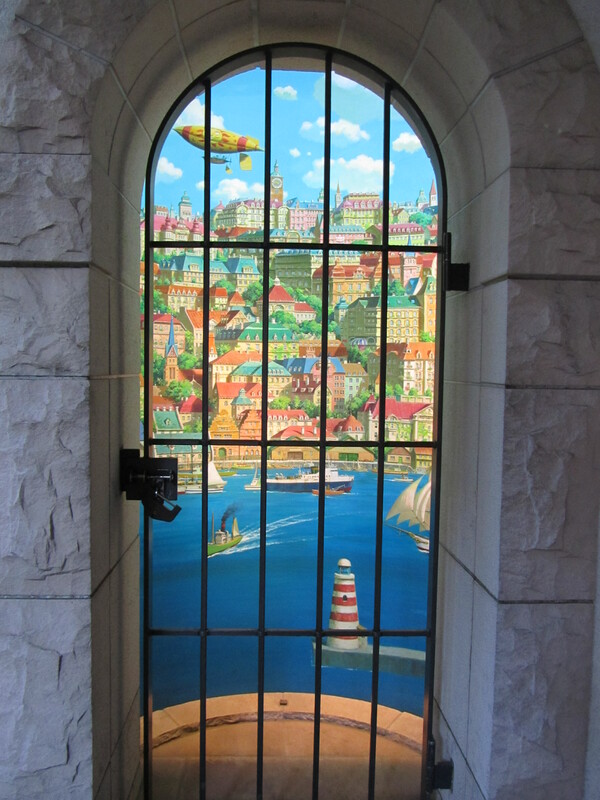 Upstairs there’s an exhibit that’s made to look like the Ghibli animation studio with pictures and sketches pinned to the wall, half-finished drawings on desks, and chests and tables overflowing with inspiration. There is a cinema on the lower floor that shows different short films that I think can’t be seen anywhere else. On the day we went there was a film about a puppy that gets lost and has an adventure, but I loved the one I saw last year about an unlikely bond between a diving bell spider and a waterskater. It’s probably one of the most beautiful animated stories I’ve seen. There is a room that features changing exhibits; last year there was an adult-sized catbus that you could sit in, this year they had an exhibition of English pre-Raphaelite illustrators of fairy-tales. 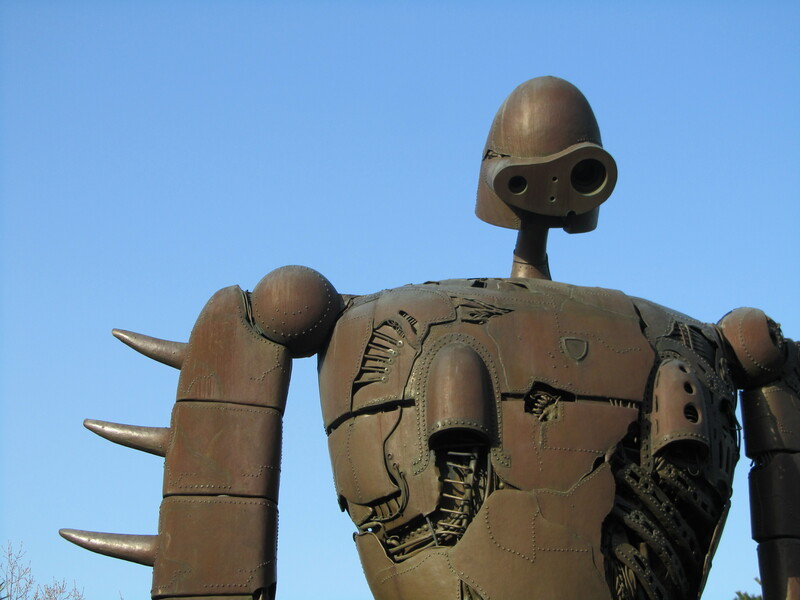 The exhibits are interesting for all ages, because it manages to convey information, such as how animated films are made and the history of a type of art, through its presentation which is appealing to children. 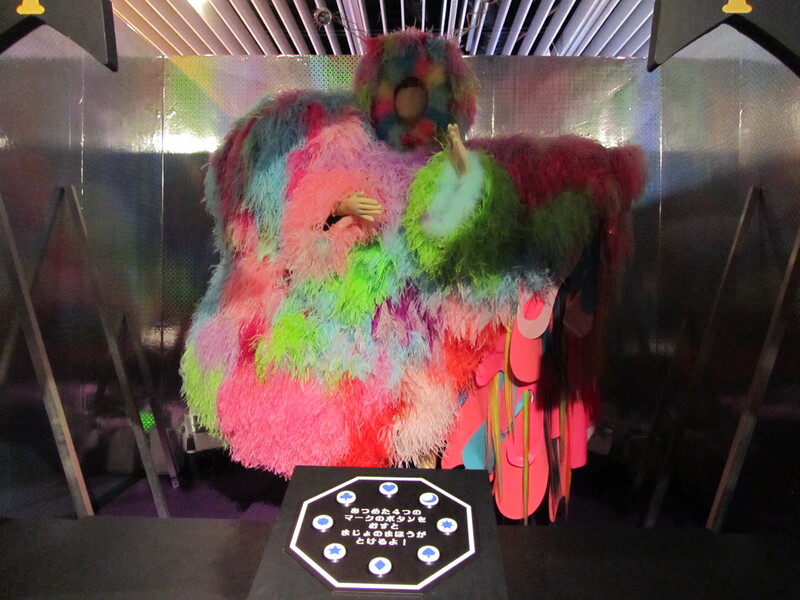 You are allowed to touch parts of the exhibitions, and there are many machines you can use to experience how a film works, and doors to open to peek inside. The most interactive exhibit is a catbus that is unfortunately only open to children, who clamber all over it as the adults look on enviously. 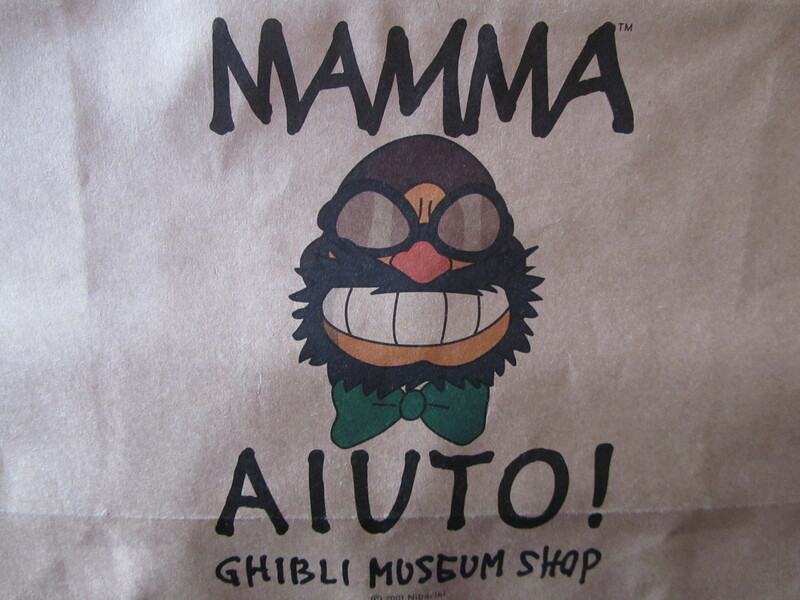 On the day we were there, one of the attendants had filled the catbus with sootball teddies that children had to move into a basket, combining the characters of My Neighbour Totoro and Spirited Away. 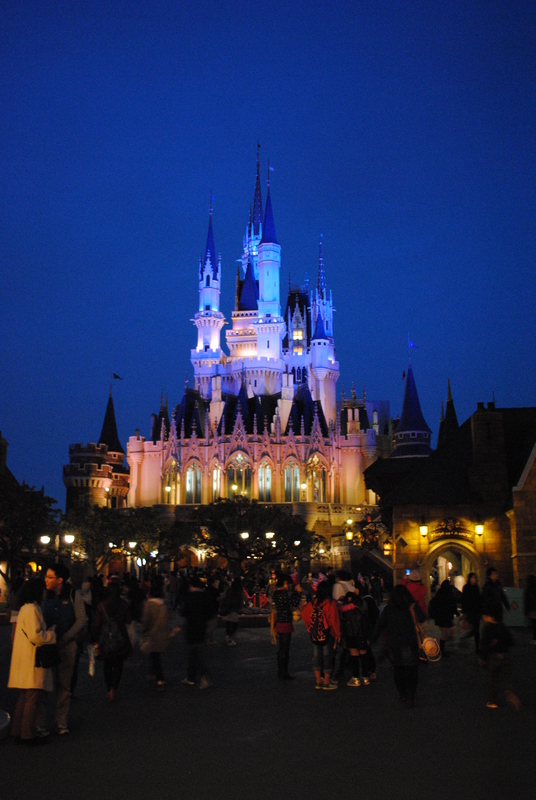 In Tokyo there’s the Disney Resort which has Disneyland and Disneysea. 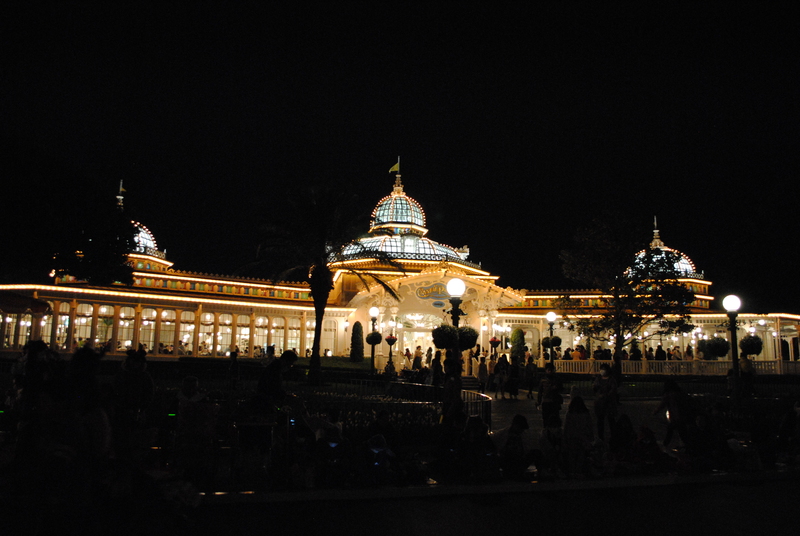 Disneyland is more cute and character-based, while Disneysea has supposedly better rides. 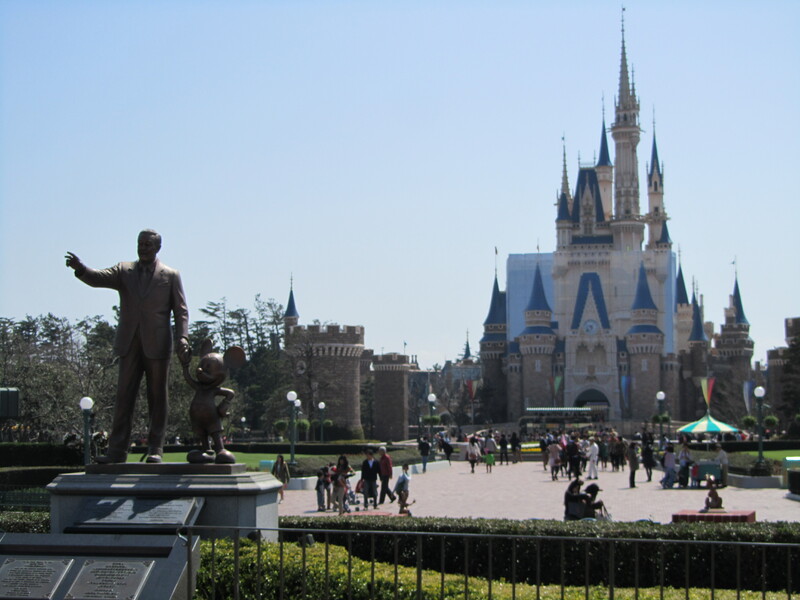 Jenny wanted to go and compare it with Disney World in Florida, where she’s been many a time, and I wanted to compare it to Eurodisney where I went when I was about ten. 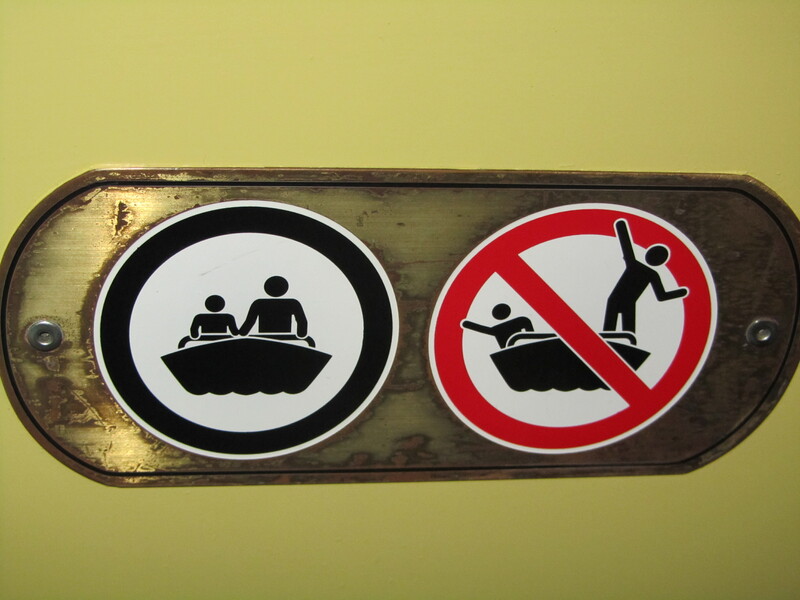 I also really wanted to go on Space Mountain because neither of my parents would go with me when we were in Paris. 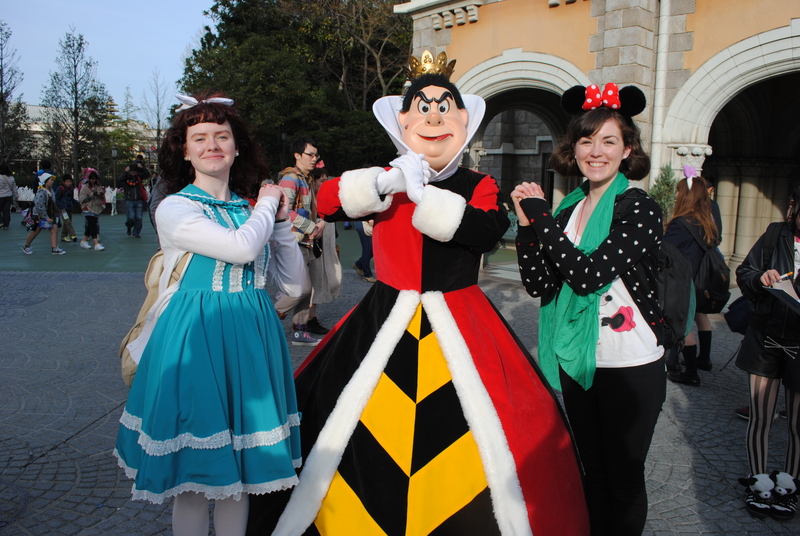 Both Jenny and I got into the spirit of things by dressing up – Jenny as Minnie Mouse and me as a brunette Alice in Wonderland because it was a good excuse to wear my Baby the Stars Shine Bright dress that I had bought last year after having watched this film. 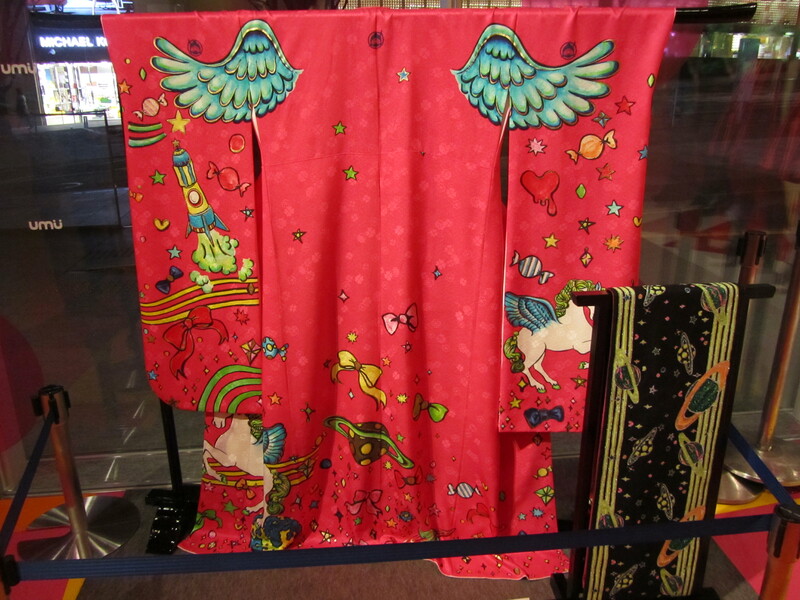 I would recommend it – it’s got Lolitas, yakuza, yankis and pachinko. We got in around eleven o’clock, put our backpacks in a locker and went straightaway to get a fastpass for Space Mountain later that afternoon. The Haunted House was the only other attraction I particularly wanted to go to, but there was a long queue and we had to wait to get our next fastpass, but when we came back later it had closed because of some technical problems. 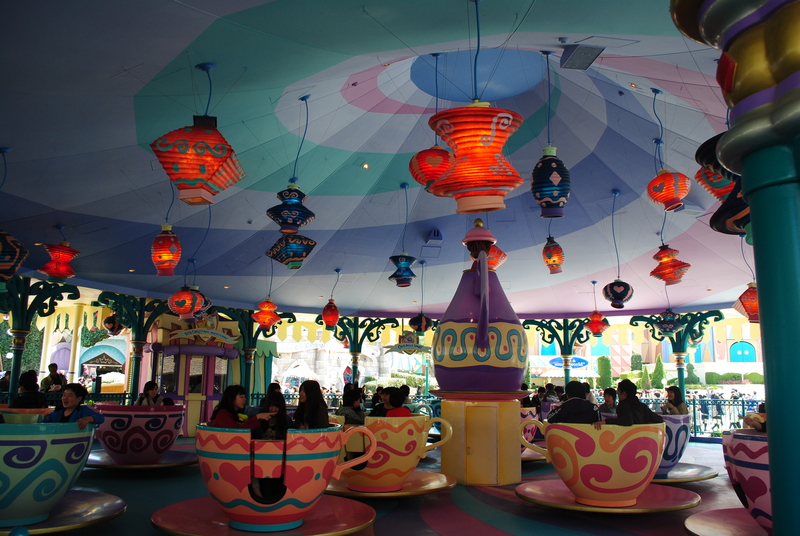 For the rest of the day we went to whichever place had the shortest queue, so we went on ‘It’s a small world’, the Teacups, Philharmagic, the Mark Twain Riverboat, Pirates of the Caribbean and the Carousel. 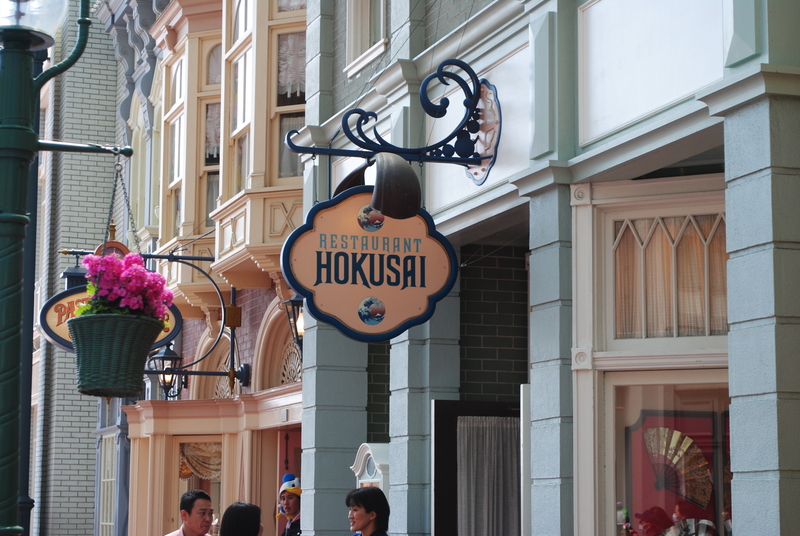 We also saw the afternoon Parade that had dancers and big floats themed on the different films and characters. 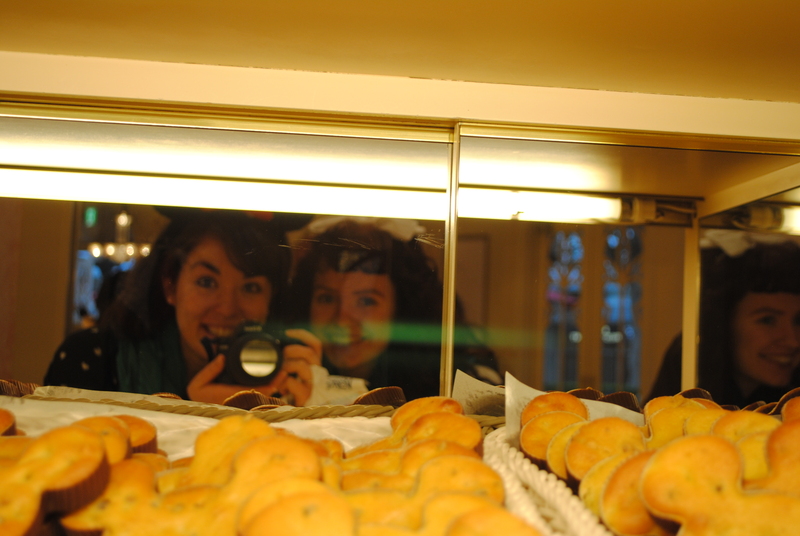 We wandered from place to place, marveling at the Disney architecture, eating, taking pictures and people watching. 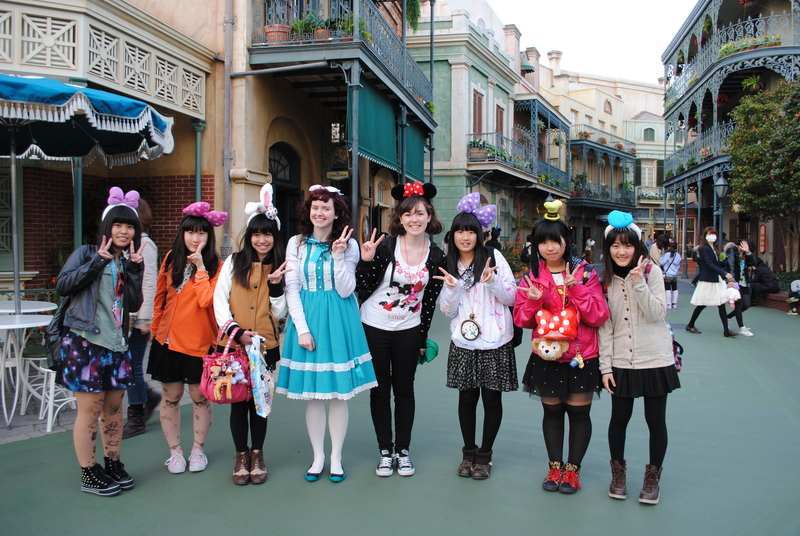 Many junior high-school girls came up to us to ask us for a picture, and I could tell they were proud and embarrassed to use their English. 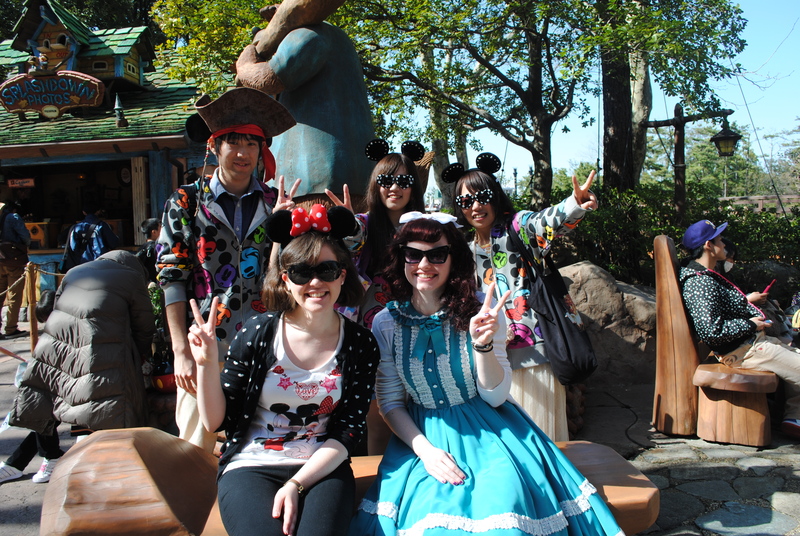 Lots of other visitors were dressed up like we were, and everyone there wore at least one Disney product. The selection of souvenirs is quite astounding so we waited until the end of the day to do our shopping so that we would have time to think about what we wanted to buy. 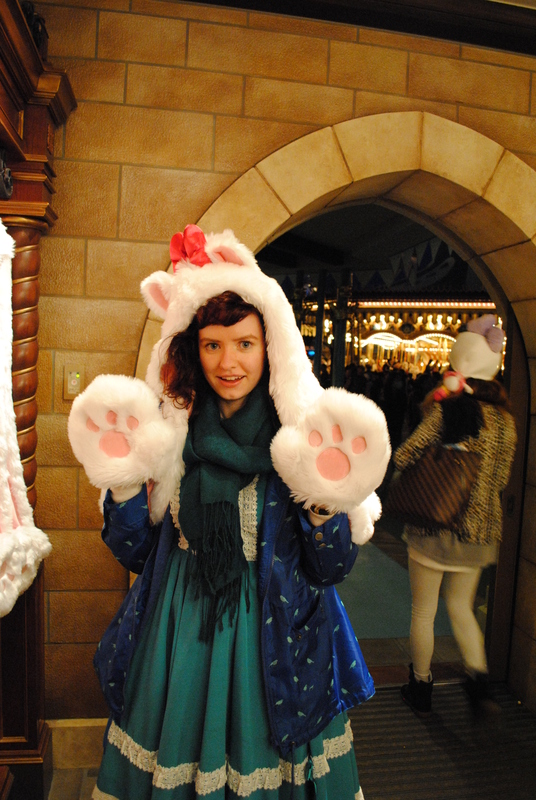 I ended up buying an Aristocats’ Marie hat/scarf/gloves, which I love. 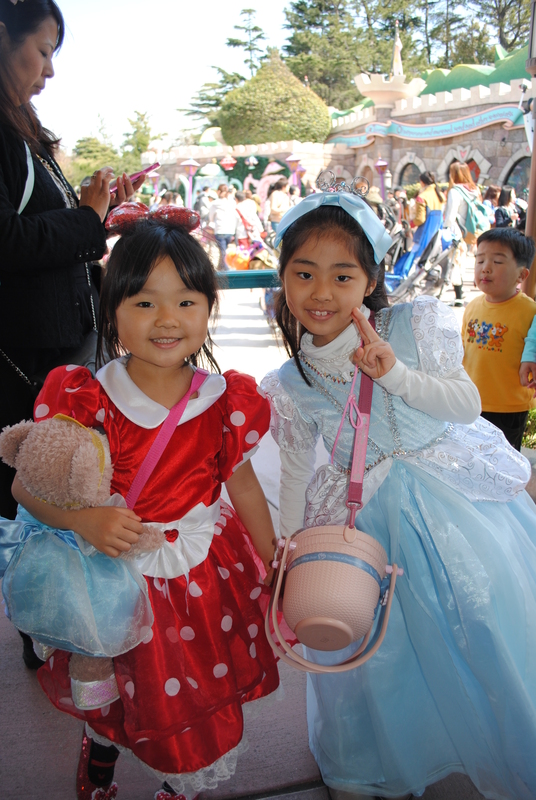 Disneyland is extremely popular, especially with teenage girls. 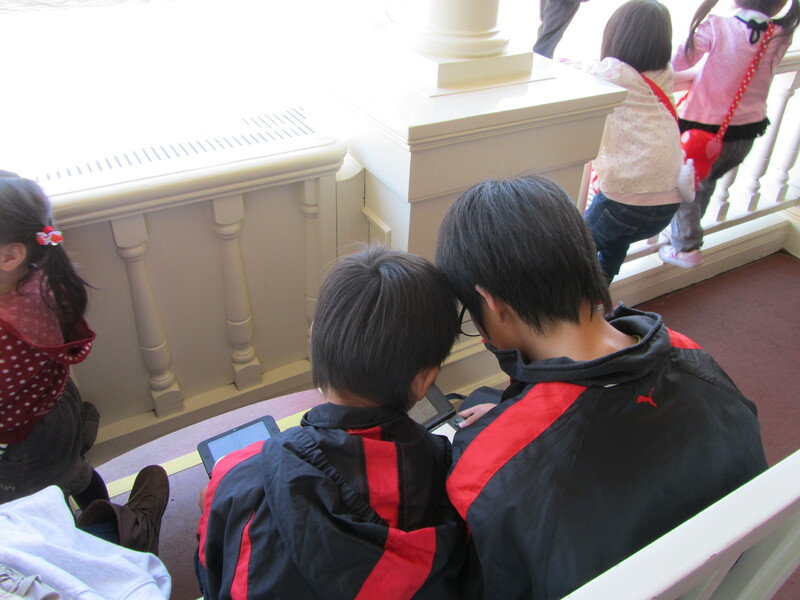 More than the rides or the attractions, it seems to be the fantasy that they love. Some of my students have written speeches about Disneyland for competitions, and one girl wrote about that particular aspect of it. She told an anecdote about asking a cleaner what he was doing and he replied that he was sweeping up stardust. 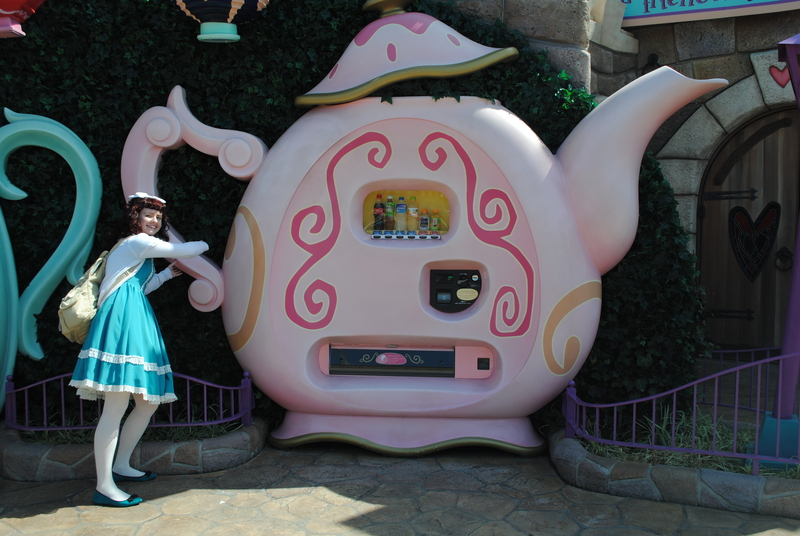 She also said that there were no mirrors in Disneyland (though of course there are) because it would break the illusion to see yourself and realise that you are still the same person and have to go back to your normal life. 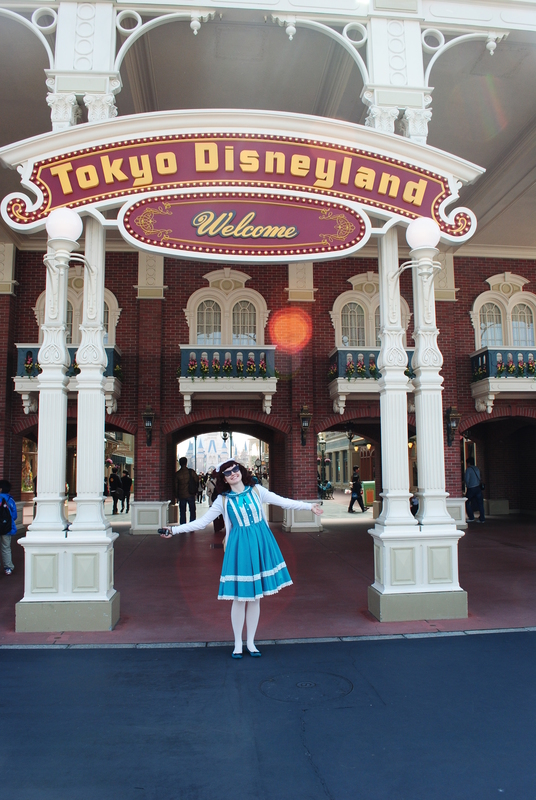 I was really struck by her representation of Disneyland and the importance she placed on the escapism of a visit, without her even realising it. The film Afterlife (ワンダフルライフ) is about a place where people go when they die to choose their most meaningful or happy memory to be remade by the people who work there before they move on. 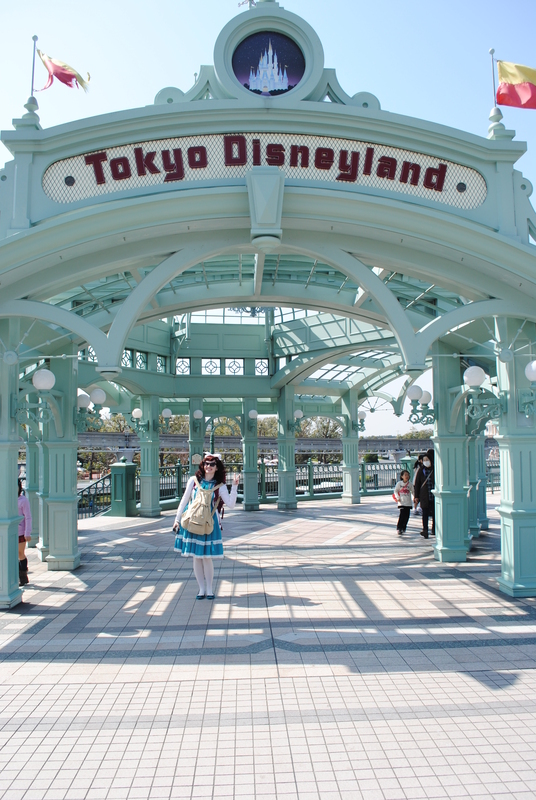 A Junior High School girl chooses a trip to Disneyland with her friends as her memory, but she changes her mind after one of the workers tells her that a lot of girls her age choose Disneyland. Instead she chooses a simple memory from her childhood with her mother. It seems strange to me that teenage girls can take Disneyland so seriously, treating it as a real fantasy land where you can escape to, rather than just a fun diversion. I don’t think there’s anything wrong with escapism, I think it is good to take a break from your own life, and everyone has their own (often silly) ways of doing that. 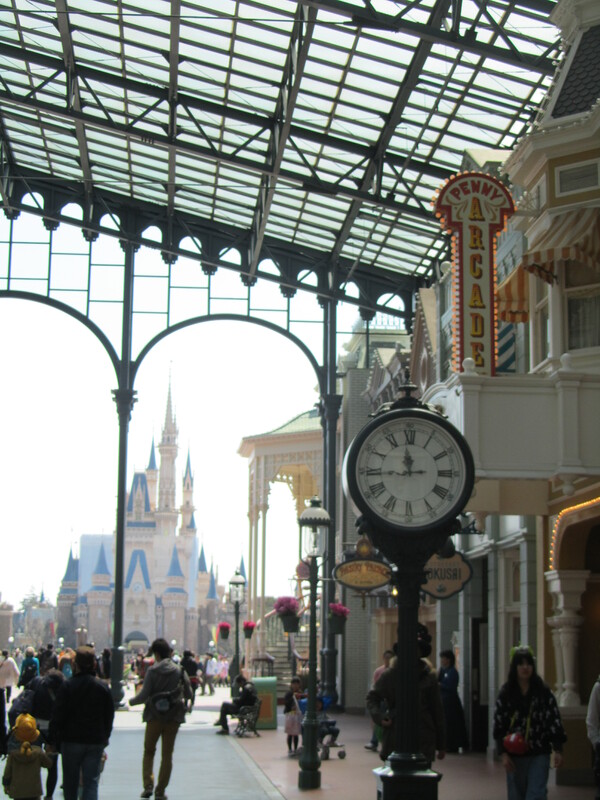 I consider books and films a form of escapism, but the difference is that you learn experiences from them that you mightn’t be able to have in your own life, whereas all I have from Disneyland is a happy memory (and some souvenirs). 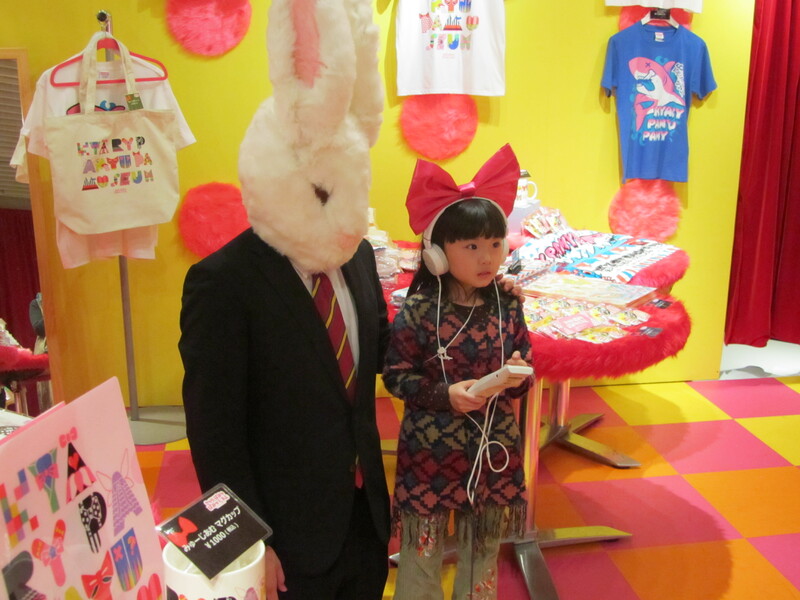 I haven’t written anything about Japanese pop culture yet because it can be a scary, scary place. The pink, fluffy rabbit hole of cuteness goes very deep, and many people who go down, never come back. I do look over the edge however, and I admit that I have a Hello Kitty phone cover and I enjoy wearing bows in my hair. 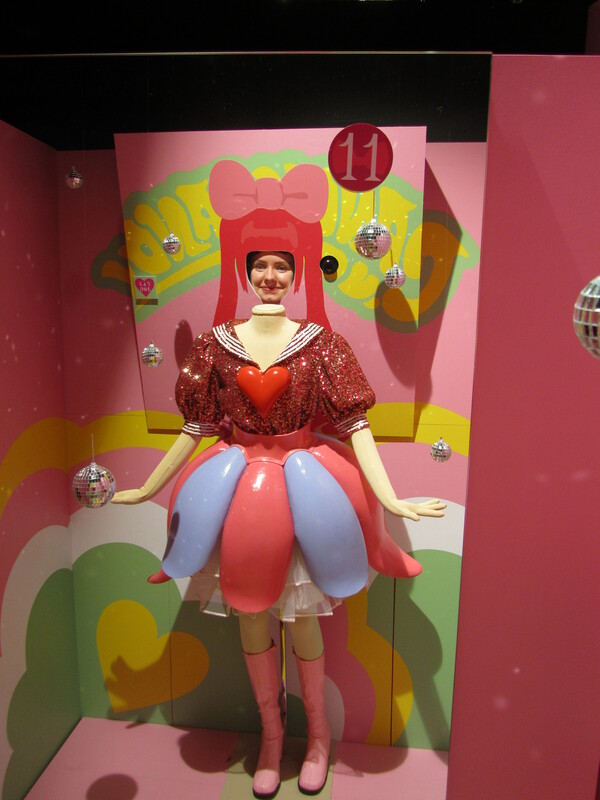 In Tokyo we visited two of the most important spots for experiencing kawaii culture; Harajuku and Akihabara. Walking down Takeshita Dori, the main fashion street in Harajuku, is a bit of an ordeal as it is very narrow, filled with people, both young Japanese girls and tourists, and the shop wares spill out on to the street, while the shop assistants shout welcomes at the passersby. It’s best just to stick to the current and take in the atmosphere as you shuffle along, as most of the shops here can actually be found elsewhere, in less crazy locations. 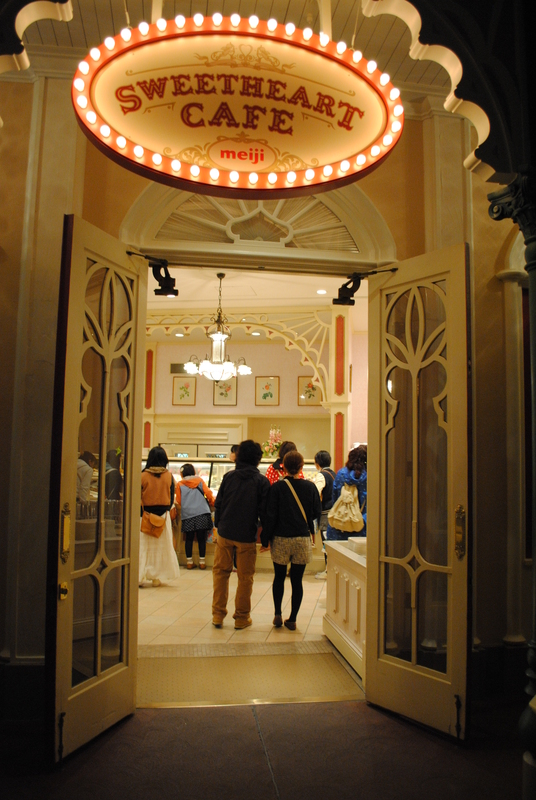 It’s a good place for a crepe though, if you don’t mind the queues. Akihabara is also known as ‘electric town’, for its many electronics shops, and it’s also the centre of otaku, or ‘geek’ culture. 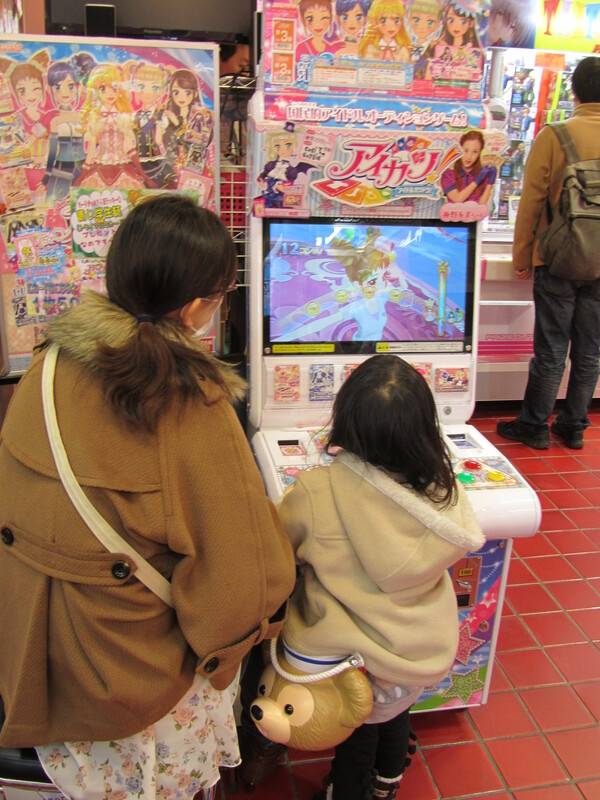 There are many manga and anime shops, maid cafes, manga cafes and game centres. Its most important export is probably the girlband AKB48, which takes the worst things about girl bands and multiplies them (literally!) by ten. They are so called because the AKB stands for Akihabara, where they perform daily, and 48 because there were originally 48 members. I say originally because there are now 88 members of the group, plus reserves. The idea behind having such a large number is so that different subgroups can perform live each day, while others can perform on television or do other promotional work for the group. The members’ ages range from 13 to over 20, and their image is an uncomfortable mix of childish sexuality. The group is a commodity that can be expanded by auditions, reduced by graduations, sold as events and merchandise, and even exported to create JKT48 in Jakarta and TPE48 in Taipei. 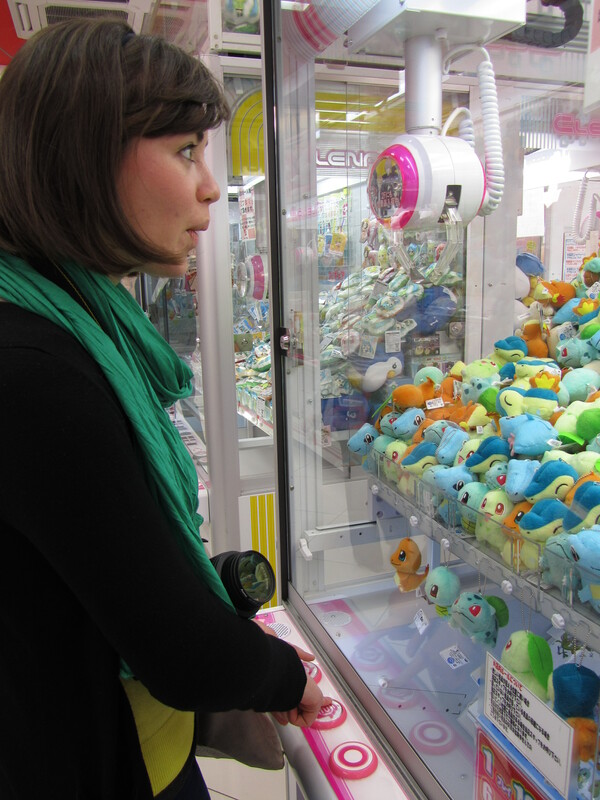 Jenny and I popped into a Taito game centre to try to catch a pokemon in a claw machine and to take our picture in the photobooths there. 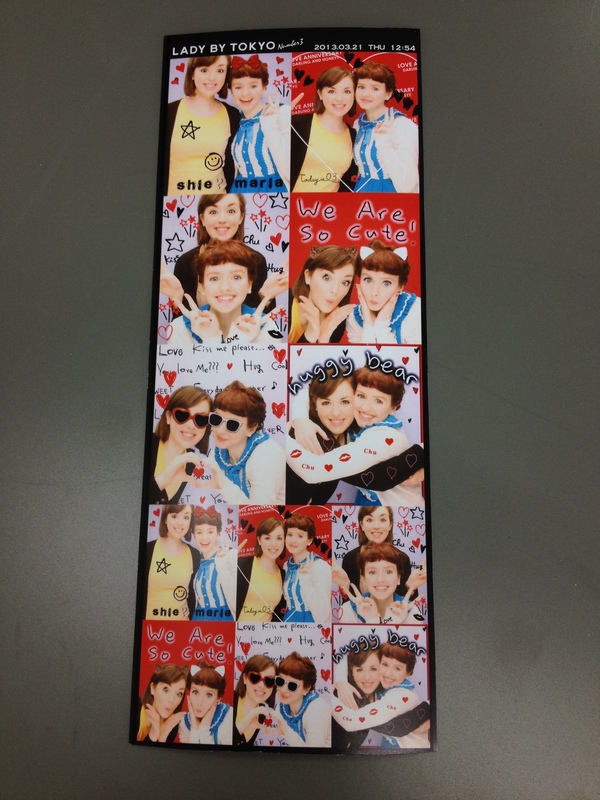 We didn’t catch any pokemon, but we did get some great purikura (print club) pictures. 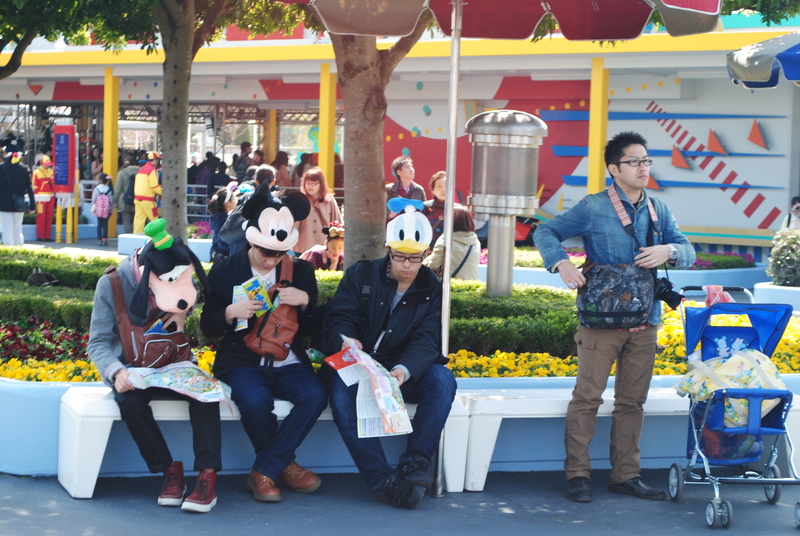 Japan takes photobooths to a whole new level. These booths are often located in shopping centres or other places that are convenient for girls or couples to create a memento of that day. In some places they have costume rentals and makeup and hair products to use. You stand in the booth and strike several cute poses as the camera takes the picture. Through some kind of magic, the camera makes your skin whiter, your hair lighter and your eyes bigger. But the real fun happens in the photoshop area. At the side of the booth is a screen which has a multitude of options for editing the photos. You can choose the format and background of the pictures, you can write messages and add pictures, and you can adjust your appearance further with the addition of accessories, makeup and eyelashes. 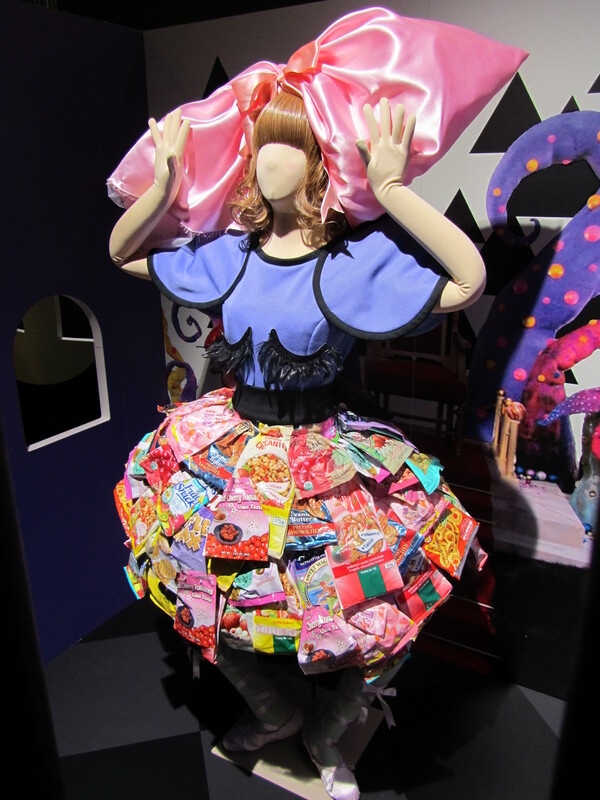 On to the best representative of pop culture – Kyari Pamyu Pamyu. Irish readers will recognise the above song and general style from the mobile network 48’s advert. 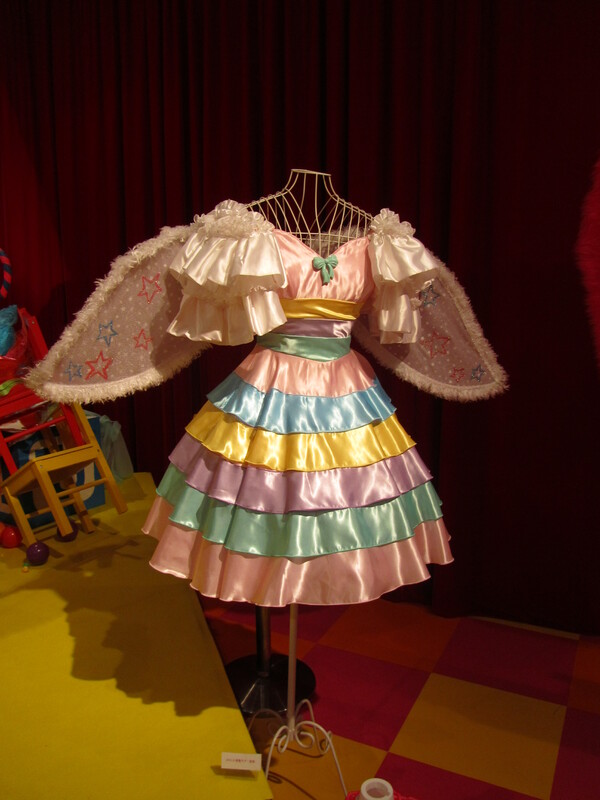 I like Kyari Pamyu Pamyu. While I’m sure that extended listening would cause your ears to bleed syrup, the songs are ridiculously catchy and the visuals are amazingly surreal. 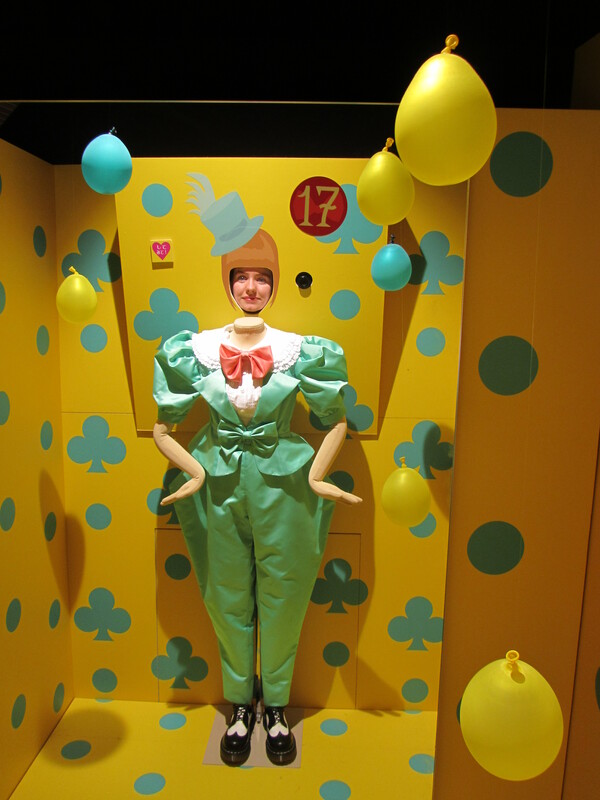 It just so happened that while we were in Tokyo, there was a pop-up exhibition held in Roppongi, showcasing her costumes. 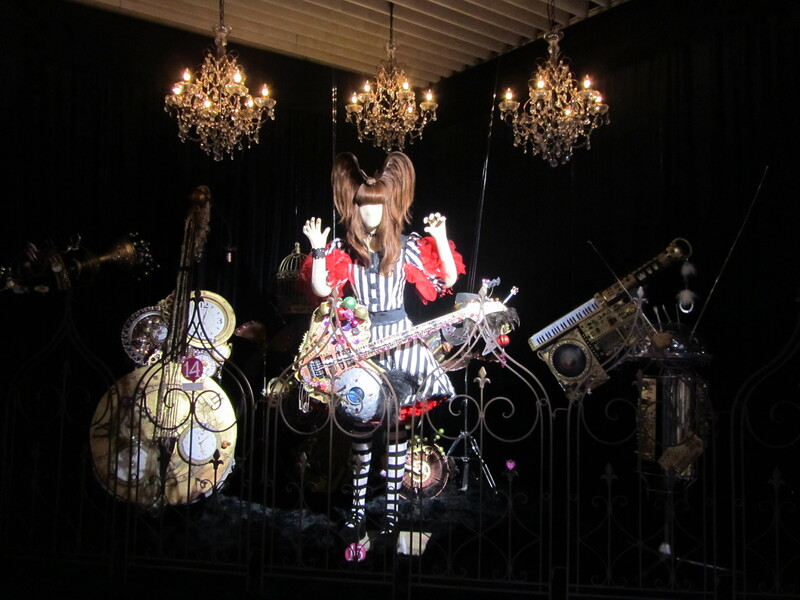 They were fabulous (and tiny) and some of them had cut-out faces so that you could ‘try on’ the costumes. I’ll leave you with this.